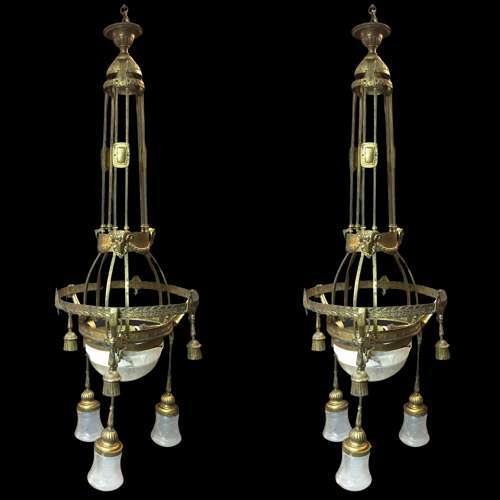 A large pair of Imperial Austrian, Art Nouveau gilt brass and cut glass pedant lights. Mounted with neoclassical rams heads and swags above a circular laurel wreath hoop, suspending three tassel holders for light bulbs, with a further lower hoop holding neoclassical batons supporting hand cut glass bell shades. Circa 1905.